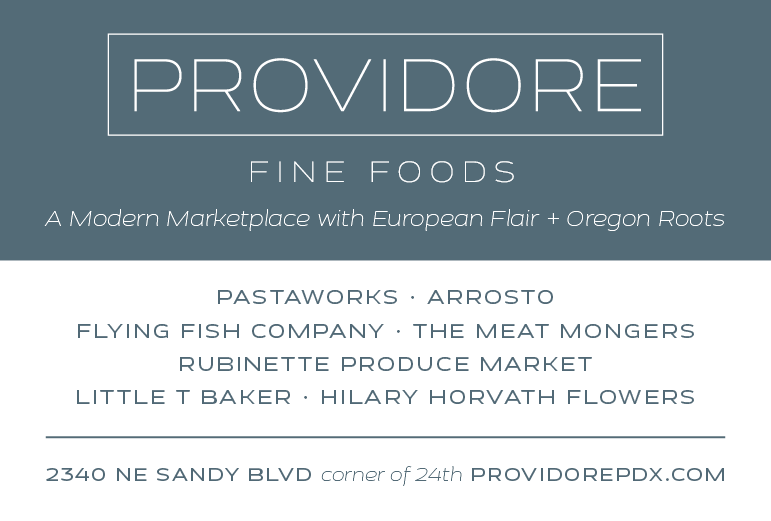 Planted as street trees all over Portland in the late 1800s and early 1900s, Italian prunes were as synonymous with this city as the rose is today. By 1927, one source indicates, there were 55,000 acres of Italian prunes growing on farms in Oregon and Clark County, Washington. 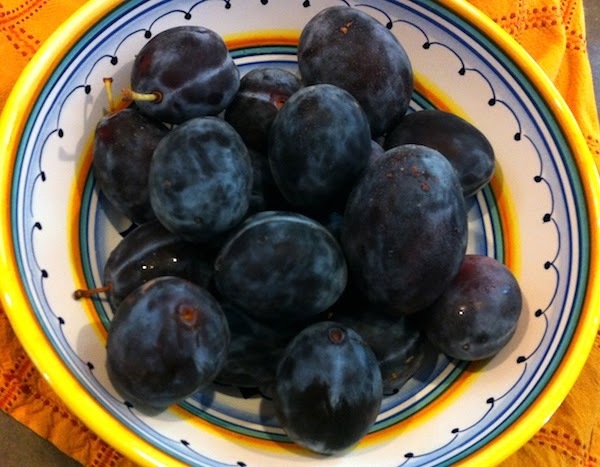 Despite the efforts of marketing types to rebrand them as plums—prunes being associated with the dried fruit used by elderly folk to aid…um…digestion—they are being grown by farmers all over the state to this day. I love eating them out of hand and spitting out the pits (yes, I'm still five years old), but I also love them in desserts. 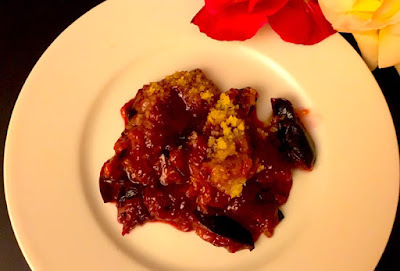 The Italian prune crisp pictured above is one of my favorites, plucked, if you will, from my mother's 1950s-era Betty Crocker Picture Cookbook. So simple, it just involves pitting and slicing the fruit, sprinkling it with cinnamon and a mixture of flour, butter and sugar, then popping it the oven. The perfect no-muss, no-fuss, one-pan "modern housewife's" recipe. 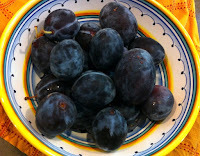 Click here for more information on the history of these prunes in Oregon. 1/4 c. water or fruit liqueur like cassis, triple sec, etc. Place fruit in 9" by 12" pyrex baking dish. Sprinkle with cinnamon and salt. Drizzle with water or liqueur. Put flour, sugar and margarine in bowl of food processor. Pulse until the consistency of cornmeal. (If doing by hand, blend by hand with a metal pastry blender.) Sprinkle evenly over fruit. Bake for 40 min. or until bubbling.